George’s mum, Gemma, shares George’s story to help raise awareness of the symptoms and effects of childhood cancer. 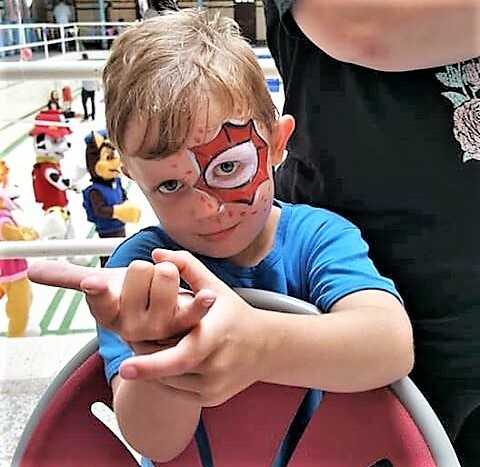 At the age of three, George was diagnosed with acute lymphoblastic leukaemia. The only symptom he had was a pale rash on his face. “After heading to hospital fearing meningitis, George underwent a series of blood tests. We were then given the devastating diagnosis that George had cancer. “After 7 weeks in hospital and daily chemotherapy, George was able to return home. He then underwent an intense nine-week stage of his treatment and began his three- year maintenance programme. “Regardless of his struggles, George always has an amazing smile to share, especially with his little sister. 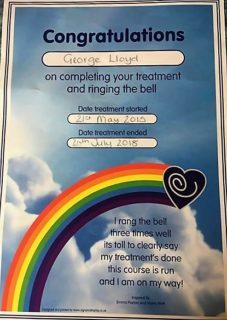 We’re now over three years into treatment and George has finally ended his daily chemotherapies and monthly lumber punctures. He reached a huge milestone in his journey by ringing the End of Treatment Bell on 26th July! 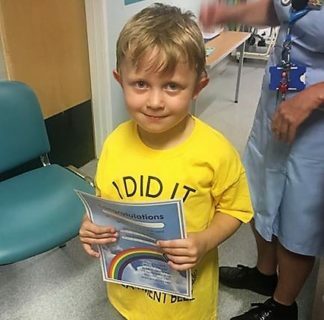 “We’re still in Ward 84, the oncology ward at The Royal Manchester Children’s Hospital, as a day-case for six-weekly check-ups and blood tests . We are hopefully due to finish his weekend chemotherapy soon.